Here's a card with lots of texture, so I limited the colours and just used embossing folders and punches for this one. 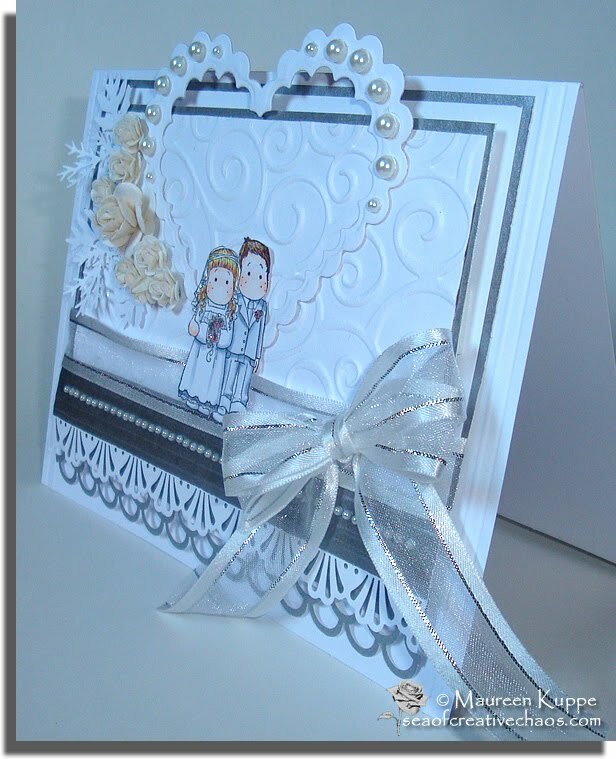 I did a lot of layering on this card... alternating silver and white. Recollections Pearls, Dollar Store ribbon , Wild Orchid roses, Martha Stewart Pine and Oak leaves punches were all used in this project. I also added a touch of Martha Stewart Sterling glitter to Tilda's flowers and in her veil (hard to see, here though). On the bottom of the card I have layered rows of Martha Stewart Deco Fan punched and Martha Stewart Double Loops punched papers. 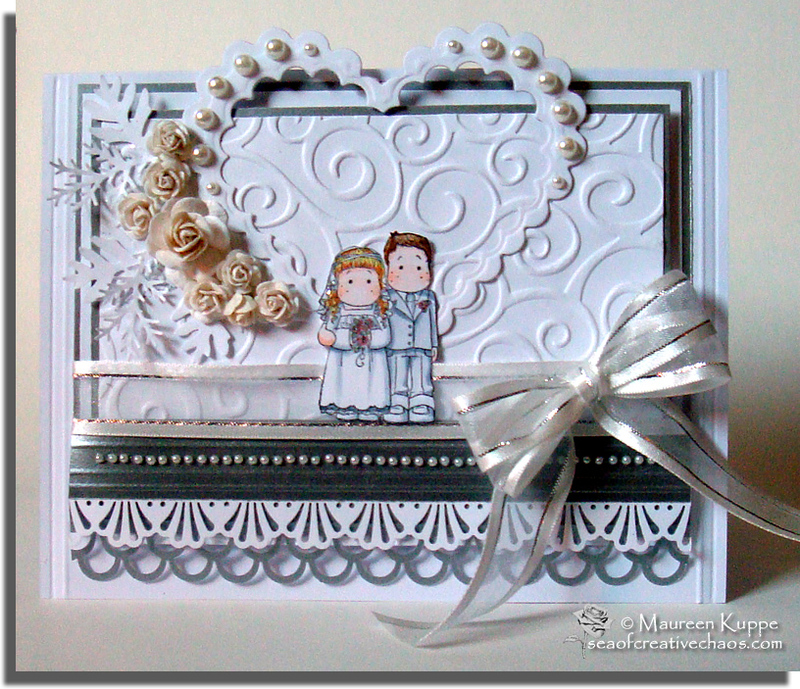 My Cuttlebug was used for the background embossing, and my scalloped heart Nestabilities were used for the heart. 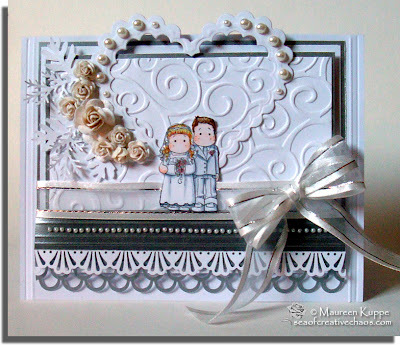 I think this card will be put to good use; I have a wedding to go to this spring, so at least I have their card done already!